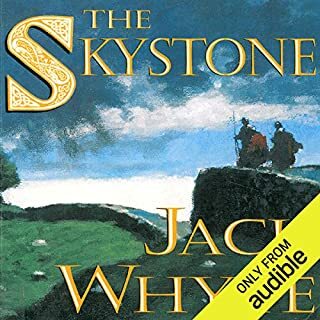 Beginning with The Skystone, the first in his riveting Camulod Chronicles, Jack Whyte has embarked on an ambitious and remarkable re-telling of the Arthurian cycle, giving us a fresh and compelling take on a story that has been beloved for centuries. The Eagle brings us at last to the heart of the tale, the creation of fabled Camelot and the love story that enshrined its glory. 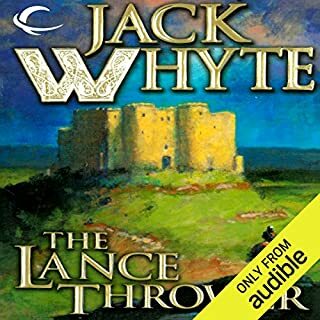 Whyte takes us into the minds and lives of Arthur, Guinevere, and Lancelot, three astonishing but fallible people who were bound together by honor, loyalty, and love. 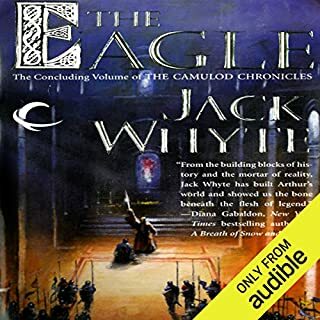 Jack Whyte has written a lyrical epic, retelling the myths behind the boy who would become the Man Who Would Be King - Arthur Pendragon. He has shown us, as Diana Gabaldon said, "the bone beneath the flesh of legend". In his last book in this series, we witnessed the young king pull the sword from the stone and begin his journey to greatness. Now we reach the tale itself - how the most shining court in history was made. Merlyn Britannicus and Uther Pendragon - the Silver Bear and the Red Dragon - are the leaders of the Colony, lifeblood to the community from which will come the fabled Camulod. 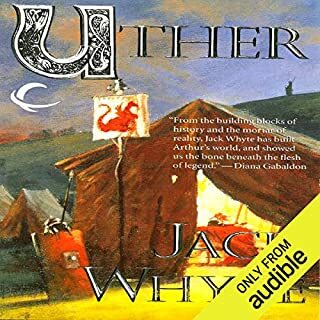 But soon their tranquillity is in ruins, Uther lies dead from treachery, and all that is left of the dream is the orphaned babe Arthur. Heir to the Colony of Camulod, born with Roman heritage as well as the blood of the Hibernians and the Celts, Arthur is the living incarnation of the sacred dream of his ancestors: independent survival in Britain amidst the ruins of the Roman Empire. 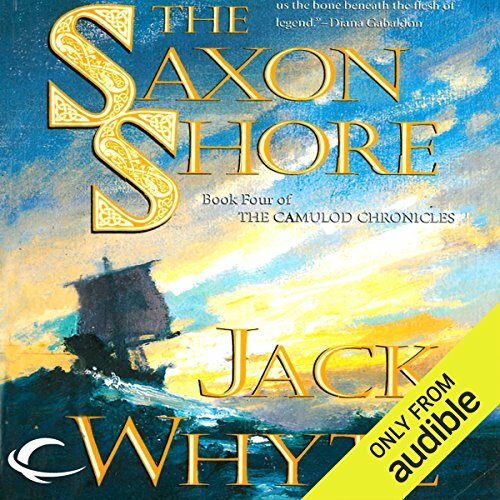 ©1998 Jack Whyte (P)2013 Audible, Inc.
it's the beave and his dad! The first 2/3 of this book is a BORING collection of anecdotes that do nothing to move the plot forward. The dialogues between the men sound like the Beave and his dad. Then there are the moralizing monologs of Merlin. Yawn. Whyte seems to enjoy killing off most of the strong female characters (although he does allow his aunt to live to a ripe old age). And while I'm at it, I thought it was just creepy that Merlin should admire some woman's 'teats'! Women have breasts, Mr. Whyte! Whew! Had to get that off my chest. In conclusion, I must add that things finally pick up towards the end. 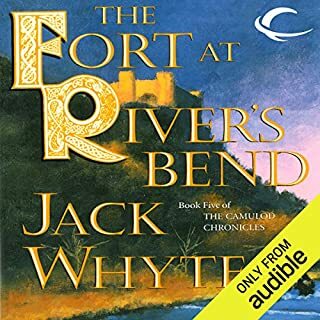 This is my second listen and I have enjoyed most of the other books in the series. I just feel offended when one gets thrown in to sell an extra book. Imagine being tutored and coached by the founders of Camalot, the great thinkers of Roman, and Merlin himself. If I can take the lessons and stories to heart, I will be a better husband, father, uncle, brother, friend, and leader. When I first read these books a decade ago, I thought they were at the top of their game. They're still great for many reasons, but one thing I missed the first time around is the shear amount of exposition. Much of it is necessary, but most not necessarily so. It would be easy to argue that the primary narrative and story of the books are told in exposition. So if this author's previous works weren't enjoyed by you or you thought other works had too much exposition (like, say Pillars of the Earth) you might be wary. 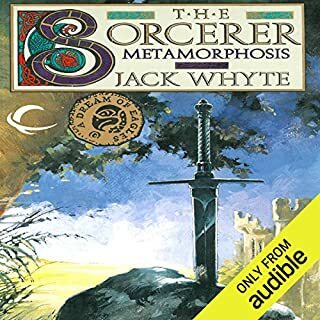 But, what the author does to make up for the amount of exposition is posit an entertainingly plausible story of how King Arthur stepped out of the world left by the fall of Rome. And I still enjoyed that story the second time around. I have read this entire series and have enjoyed the journey. This historical depiction of the story of King Arthur is informative and well researched. Thank you, Mr. Whyte! This is great story, well narrated, somewhat long winded at times, but an easy listen. Very enjoyable series, will be one I listen to more than once. I found the story to be ponderous and long-winded. Combined with slower than usual narration, it was hard to get through. Overall, it felt like an overly long bridge chapter in the story.